The massive bog, which anchored itself on the beach of the Legionville School Safety Patrol Training Center last fall, has been cut with chain saws into sections the size of a couple of large homes. 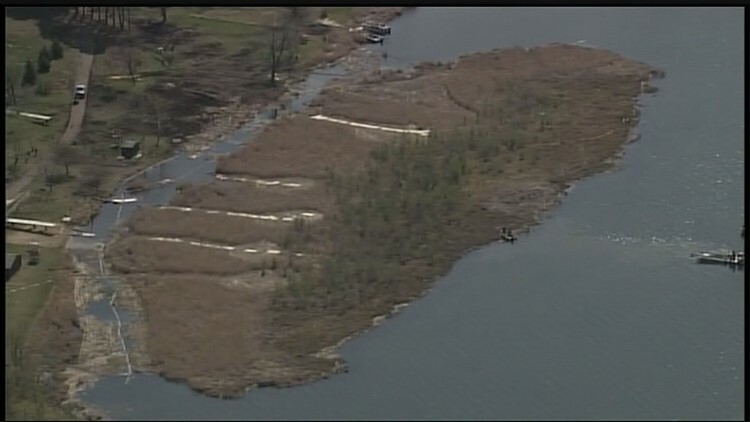 BRAINERD, Minn. - There is movement in a standoff with mother nature, as crews say they are now able to move a stubborn bog that is causing major problems on North Long Lake near Brainerd. 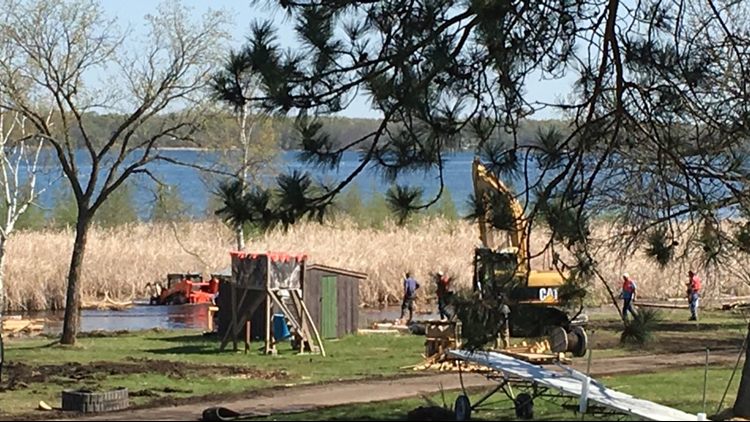 State Adjutant Randy Tesdahl of the Minnesota American Legion tells KARE 11 that the massive bog, which anchored itself on the beach of the Legionville School Safety Patrol Training Center last fall, has been cut with chain saws into sections the size of a couple of large homes. Crews attached tow straps to trees, and are using boats and pull and push the bog, which the DNR estimates as 200 feet by 800 feet and 4,000 tons (8 million pounds). The bog now sits about 40 feet from shore, and is moving at a rate of about 6 inches per minute when the boats are running. Tesdahl calls moving the bog "a real local effort of people coming together," and credits the DNR, American Legion, North Long Lake Lake Association and local boat owners for not giving up.